​We are so excited to have our Prospect Heights Educational Campus program in full swing this year! 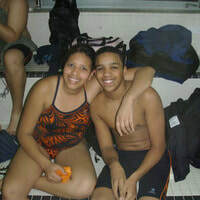 ​In the fall of 2013, Trident had a large enough number of girl swimmers at George Washington Educational Campus to get an approved girls team in New York City's PSAL high school league. This was a great achievement and we were so proud of our girls! 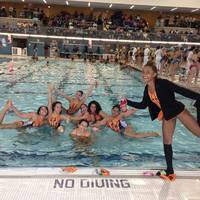 Check out the custom designed suits with the Trident - designed by one of our Swimmer Scholars! Part of Trident's mission is to encourage water safety in the inner city. We run free swim lessons as we expand our network of locations. 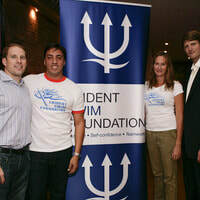 ​Trident can not do what it does without the generous support of donors. Here are some pictures from our great fundraisers! Volunteers and the Executive Directors regularly lead Stroke and Turn Clinics for the Swimmer Scholars to give them extra time with some of the country's best athletes. 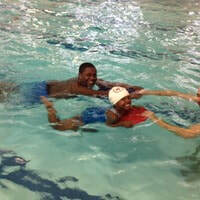 ​Our Swimmer Scholars in action. ​In addition to classroom and pool time, an important part of the Swimmer Scholar Program is out-of-school enrichment activities for Swimmer Scholars. 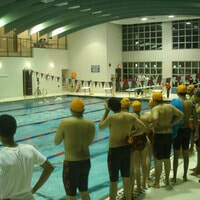 ​Hard work in the pool is paid off at swim meets.